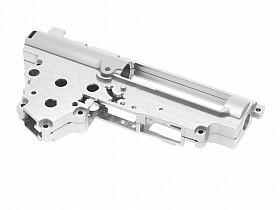 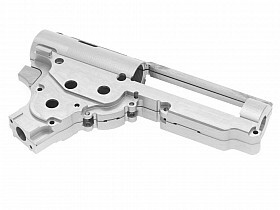 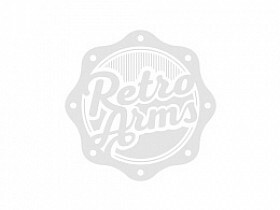 RetroArms Gearboxes are manufactured from one block of aircraft aluminum (Dural) EN AW 7075 T651, they are milled on multi-axis CNC machines, THEY ARE NOT MILLED AFTERCASTINGS. 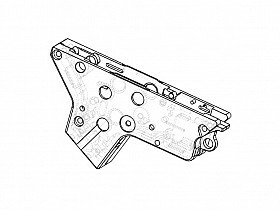 For comparison, the strength of aircraft aluminum (Dural) EN AW 7075 T651 is 550MPa, common construction steel has only 390MPa. 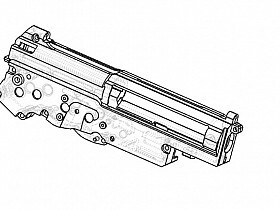 All of our gearboxes are designed for the best durability, resilience and strength on the most powerful springs. 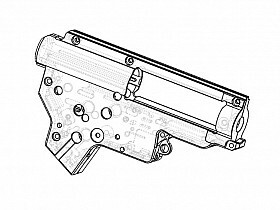 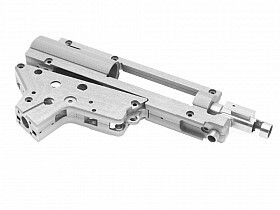 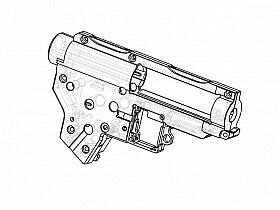 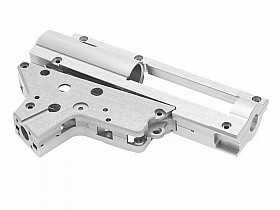 These gearboxes are designed with Tokyo Marui compatibility and we constantly innovate them. 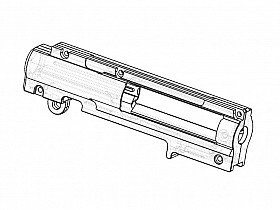 Details in brackets (8mm) or (9mm) does not mean version, but diameter of slots for bushings/bearings. 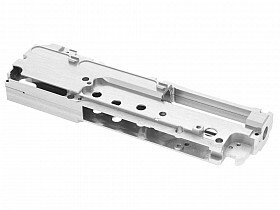 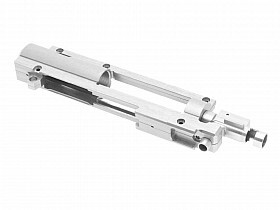 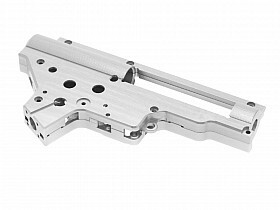 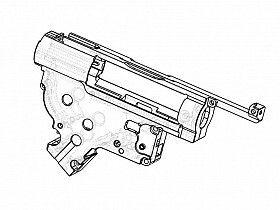 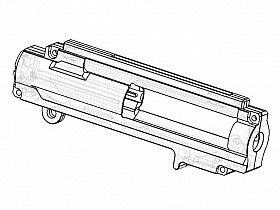 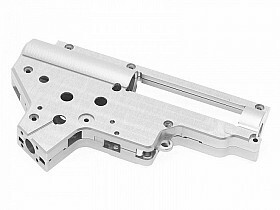 CNC lower gearbox for P.T.W.